Olive oil was probably one of the first non-animal-based oils used to make soap. Castile soap is reputed to have originated in Castile Castle as early as 1567. Many soap purists will say that to truly be "Castile" soap, it has to be made from 100 percent olive oil. Technically, they are right. And while you certainly can make soap from 100 percent olive oil, you may not like the lather it makes. Some will describe it as "smooth and creamy," but most will describe it as "slimy." Try it at least once but just know that the lather is different than what you're probably used to. 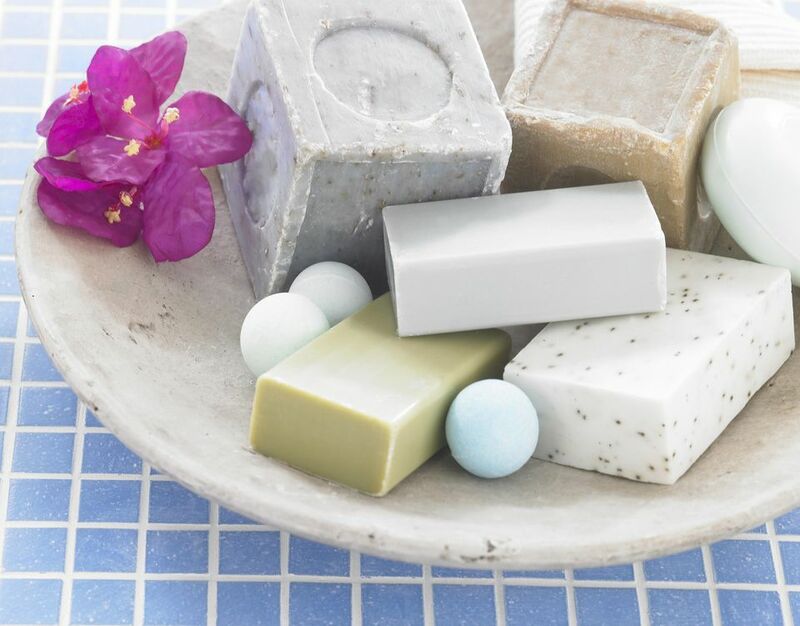 This soap takes a long time to cure—rather than three or four weeks, many people let their Castile soap cure six to nine months or more before they use it. The lather of a 9-month-old Castile soap is much nicer than when it is just a few weeks old. Why, you may ask, is the lather different? Each oil in a soap recipe contributes different qualities to the soap. A one-oil soap (like Castile) will have just the soap qualities of that oil, while a blend of oils gives you a blend of qualities. The art of creating a basic soap recipe is the art of balancing the various oils all together. That said, most people make Castile soap with predominantly olive oil, but add other oils in to help balance out the bar. Here are four basic recipes using mostly olive oil. Follow them as written or just use them as a guide. They will all be slightly different, as the ratio of oils is slightly different. But rest assured, they all make great soap. As for which olive oil to use, most soap makers buy large bottles of “refined,” “grade A” or “pure” olive oil at the large discount stores. Other soap makers prefer pomace olive oil. All recipes on this page will be finished by following ​basic soap making instructions. Make sure that you run your recipe through a lye calculator to make sure that all of your measures are correct.